Product Authentication through Mobile APP, SMS or Website:- Now through SMS or on MyFitFuel website you can Authenticate every MyFitFuel Nutrition Product with Authentication Scratch codes give on the bottom of our Products. MFF Plant Pea protein Isolate is the pure isolate plant protein which is made from peas. It provides high amount of protein per scoop with the complete amino acid profile. Peas as a vegetable are known to be gluten and lactose free which make this product suitable for any individual looking for lactose, soy and gluten free source of Protein. It’s 100% vegetarian source of protein. MFF Plant Pea Protein isolate is very easy to digest and mix and you can buy pea protein powder in different flavor variants including unflavored. --> Helps in increasing Lean muscle growth. --> Ultra low in fat and almost negligible amount of carbohydrate. --> Provides a high source of naturally occurring BCAA (Branched Chain Amino Acids) which helps to increase the muscle tissue for better muscle recovery and growth. --> Provides a high source of naturally occurring Glutamine which increases the overall muscle recovery of body reducing the muscle soreness and helps to get ready for next workout. --> High Source of Naturally occurring Arginine. --> Dairy Free, Gluten Free, Soy Free, Aspartame Free, No Artificial color added, No Sugar Added, No Artificial Flavors added. --> Provides complete amino acid profile with all the essential Amino acids required by our body. --> It’s very easy to digest and easy to mix. These are the benefits which make this product one of the best Pea Protein Powder in India. Lean Pea Protein Isolate powder being plant source protein contains high amount of naturally occurring fiber which makes it easy to digest in comparison to the animal source of protein. Because of better digestion, it removes the problem of feeling bloated or upset stomach which makes it more favorable protein over another animal source of protein. As we need carbohydrate as macro ingredient for the energy, in same way we need protein for our muscle repair and growth. Daily amount of protein required totally depends on individual’s goal, the intensity of workout, etc. This Lean Pea Protein Isolate is the best pea protein powder because it’s very high in protein and provides complete amino acid profile including all essential and non-essential amino acids. This high source of fast digesting plant protein with more amount of naturally occurring BCAA’s repairs the broken muscle tissue in much faster way, reduces breakdown and then after repair it helps in the growth of the muscle tissues making them more stronger. For whom is MFF Plant Pea Protein Isolate Suitable? Our muscles are made of protein so whether we workout or not we do require protein on daily basis. 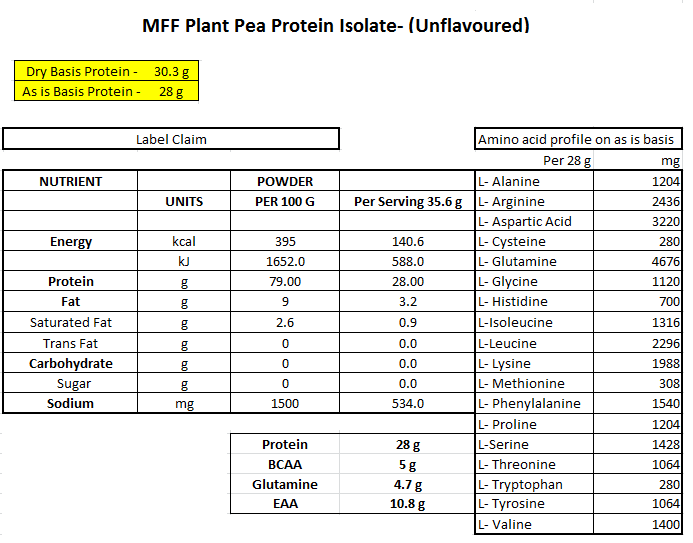 So MFF Plant Pea Protein Isolate powder is suitable for. 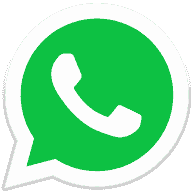 --> Fitness enthusiasts, Sports Players, Athletes, and Bodybuilders. 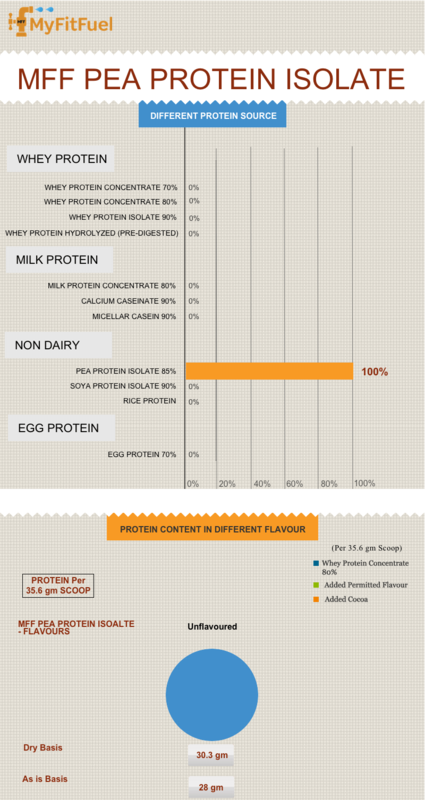 --> Individuals looking Non Dairy Source of Protein. --> Individual looking vegetable and plant source of protein. --> Individuals looking for Gluten Free, Lactose Free or Soy Protein source of protein. Since beginning educating our customers is always our priority. In Indian Sports & Fitness Nutrition market in year 2013 we were the first one to bring 100% Transparency and in similar way we are the first company to bring better education for our customer when it comes to difference between Protein calculations on “Dry basis” vs “As in Basis”. MFF Creatine Monohydrate 200 mesh- Our finest 200 mesh quality creatine which helps in to maximize strength and power for high intensity workout. MFF BCAA 5000– Pure 2:1:1 BCAA with almost 2500mg Leucine per serving. It further encourages muscle growth, muscle recovery and prevents muscle breakdown. What makes this product the Best Pea Protein powder in India? Consistency- Consistency in the quality is always very important for us. We take every measure from beginning to end to provide you the same nutrition quality and best pea protein powder in India. Transparency- We believe it’s your right to learn about the products actual benefits and its worth before you buy pea protein online in India. Many companies write just “green protein, or plant/vegetable protein” but there are different kinds of plant protein with different amino acid profiles and protein percentage. So, they never disclose right percentage used, helping them to hide the actual worth and benefits of the product.We provide complete information in our “Protein Insight” by telling you which protein we use. Certificate of Analysis- To bring better transparency we back our protein product by Certificate of analysis of the kind of protein used to make our product. We recommend 2-5 servings of MFF Plant Pea Protein Isolate™ daily to complete your protein intake. To promote lean muscles in your body, expert suggests 1g of protein per pound body weight everyday (2.2g per kg of body weight everyday) consumed during a different time of the day. Some individuals train in the morning and some in evening but we recommend following important serving times of Plant Pea Protein Isolate. --> Immediately upon waking up. Benefits of taking with Water- Taking Plant Pea Protein Isolate with water helps you to get Lean Muscles as it reduces the overall calorie intake from your protein shake. Protein shake in water is also recommended to any individual following the weight loss programme with restricted calorie intake. This is a great protein powder. Taste is not that great as it's natural and unflavoured. I use it in smoothies, oats, shakes and even in chapatis. I am vegetarian and it is helping me to meet my protein requirement.